Thank you for allowing us the opportunity to become "Brittney's" new family! The ride home and her first day here went great! She does seem to be a perfect match for "Kirby" (our Saint Bernard). We just let her sniff and roam the inside and out yesterday as she wanted. "Kirby" was her buddy and followed her throughout the tour! We only took one 'Welcome Home' pic for now and I have attached it. Richard seems to think we may have the same forehead and dimples. 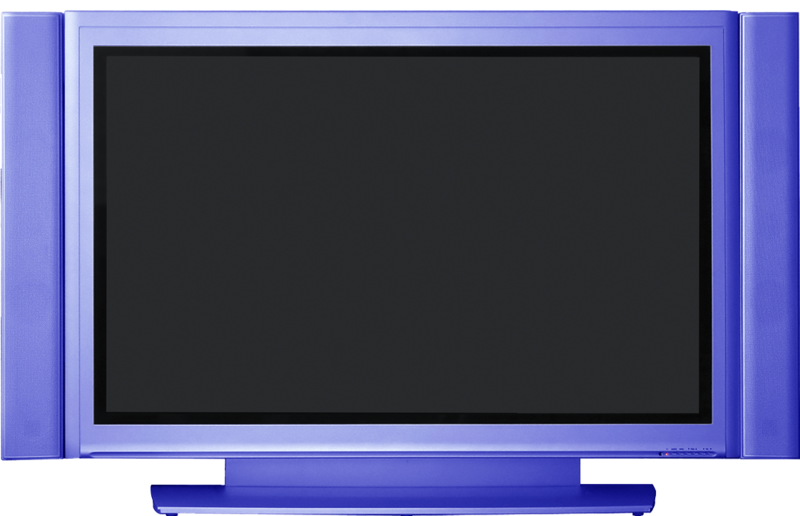 I don't see it, but see what you think! Once she has settled, we will take more pics and forward. 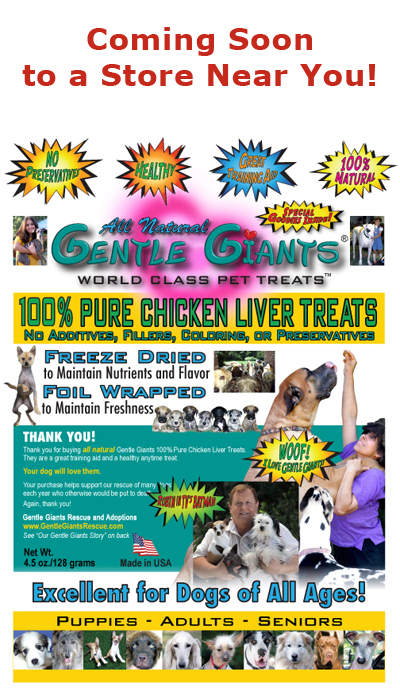 Thank you again, for your efforts to save the Gentle Giants and for helping us select the right dog for our family!! P.S. We caught you on Animal Planet's Adoption Tales this morning. The show reflected our experience (a wonderful one) and we look forward to adopting more from you soon! "Bull" finds a loving home! We are the proud parent's of "Brittney" which we adopted from you in May 2004. She has fit perfectly into our family and is loved by all who meet her! We admire the dedication and the physical labor of training, socializing and caring that the both of you have put into the Gentle Giants Rescue. We have watched your web page grow over the last couple months and love all the updates! The Borzoi's came in just about the time we got "Brittney." It is great to see people are willing to travel such distances to adopt and then train the Borzoi for service! It was also heartwarming to learn "Bumper" had a wonderful foster home followed by an adoption so quick! We know that you started the rescue with Great Danes ("Beauty") and have expanded to include all large breed dogs. 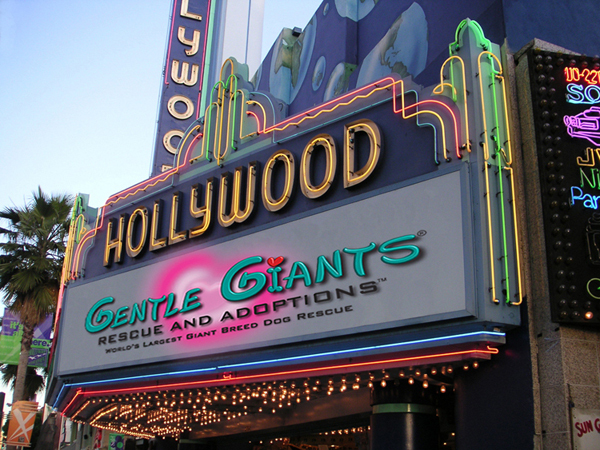 Keeping in mind that Great Danes were the beginning of Gentle Giants Rescue; we had a sign made for you representing this. We would like to have had all breeds put on it, but just wasn't enough room! We hope that you will be able to display the sign proudly on your property. It has been treated with a Marine Clear Finish and UV paints used so it should last a long time in the outdoors. Again, thank you for our precious girl "Brittney" and the time you spent with us to make that right choice for our family. As promised, here are some updated pictures of "Brittney" our loveable Bullmastiff and her handsome brother "Kirby" the rescued Saint Bernard. They enjoy walks, dining together, playtime, and of course, the most important event . . . naptime. The time you spend to learn each dogs personality has been rewarded with the change "Brittney" has made in "Kirby!" "Kirby" no longer retreats to the corners, now stands tall and wears a huge doggy smile evident in each picture. Everyday, we are so appreciative of the time you spent with us for selecting the perfect sibling ("Brittney") for Kirby! We respect you, Burt and Melody for the efforts, time, love and devotion that you put into the Gentle Giants Rescue, and we are so grateful that we found you on Petfinder.com. MEET AND ADOPT A BEAUTIFUL BULLMASTIFF! 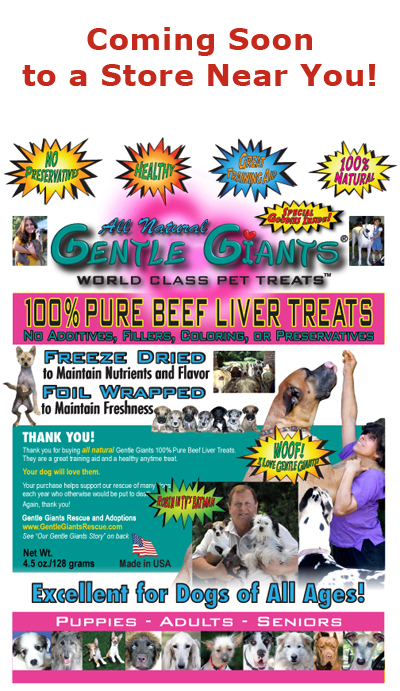 Please Note: Gentle Giants Rescue - Bullmastiffs reserves the right to make changes, additions, deletions and/or modifications to its website, documentation, requirements and policies at any time. All such changes, additions, deletions and/or modifications to its website, documentation, requirements and policies may apply retroactively at the discretion of the company. 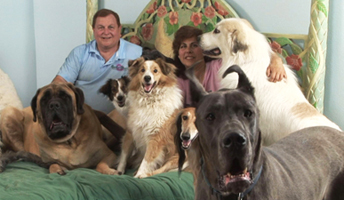 © Copyright 2003-2011 Gentle Giants Rescue - Bullmastiffs. All Rights Reserved.